LOGAN, Utah (AP) — A former Utah State football player accused of sexually assaulting seven women has added two high-profile consultants to his defense team. NEW YORK (AP) — A disbarred lawyer who once represented Casey Anthony has been sentenced to 15 years in prison for conspiring to fly a plane filled with $13 million worth of cocaine from Ecuador to Honduras. Todd Macaluso was sentenced on Thursday. The San Diego, California, resident was convicted in Brooklyn federal court of participating in an international cocaine distribution conspiracy. A lawyer for The Associated Press and other media organizations seeking names of jurors who convicted Bill Cosby at his suburban Philadelphia sexual-assault trial says prosecutors are wrong to suggest a "cooling off" period before the names are made public. The Pelicans are partying like it’s 2011. The year best remembered for the release of Adele’s “Rolling in the Deep”, Kim Kardashian’s first wedding and the Casey Anthony trial was also the last time New Orleans’ NBA team carried a six-game winning streak. Monday’s 125-116 victory over the struggling Phoenix Suns temporarily pulled the Pelicans into fifth place in the bunched-up Western Conference, making a steady climb over the past three weeks. 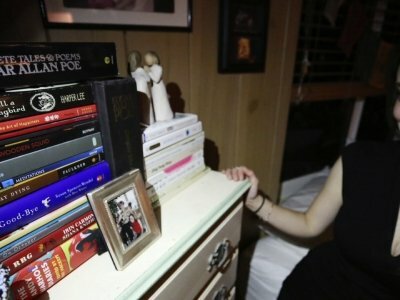 NEW YORK (AP) — In a story Nov. 6 about the conviction of Casey Anthony's former lawyer in a drug case, The Associated Press erroneously attributed the information. It came from the office of acting U.S. Attorney Bridget M. Rohde, not Robert Capers, who is the former U.S. attorney. TALLAHASSEE, Fla. (AP) — A bill that allows for the automatic sealing of criminal history records in Florida is heading to the desk of Gov. Rick Scott. The Florida House of Representatives voted 118-0 to pass SB 118. The bill, which is sponsored by Republican Sen. Greg Steube, sets up a process where certain records are sealed once the opportunity for appeals has expired. 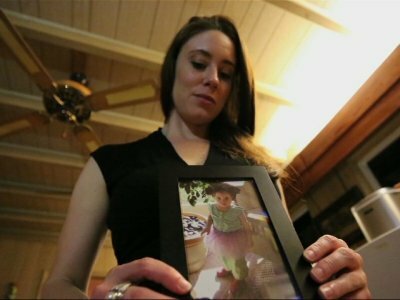 WEST PALM BEACH, Fla. (AP) — Casey Anthony, the Florida woman dubbed by cable TV show hosts as "the most hated mom in America" after she was accused of killing her toddler, told The Associated Press in a series of exclusive interviews that she sees parallels in her case with that of another famous American trial: that of O.J. Simpson. WEST PALM BEACH, Fla. (AP) — It's been almost nine years since Casey Anthony's daughter, Caylee, went missing in Orlando. It's been six since the circus-like murder trial that ended in Anthony's acquittal. ORLANDO, Fla. (AP) — The judge who presided over the acquittal of Casey Anthony in a murder trial televised live around the world said Thursday that an accidental killing is the most logical explanation for her 2-year-old daughter's death.